If your walls are looking a bit bland, how about lighting them up with this glamorous LED wallpaper by Mestyle? Spotted at ICFF at during New York Design Week, this innovative application of LEDs caught the eye of the Inhabitat Team with its subtle but stylish glow. 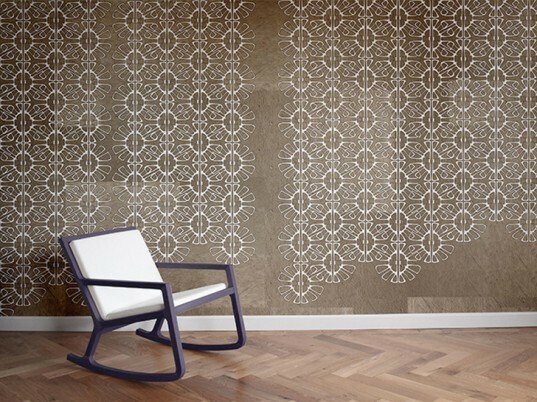 The illuminated wallpapers are available as a collection of 22 unique designs, each depicting a different theme. 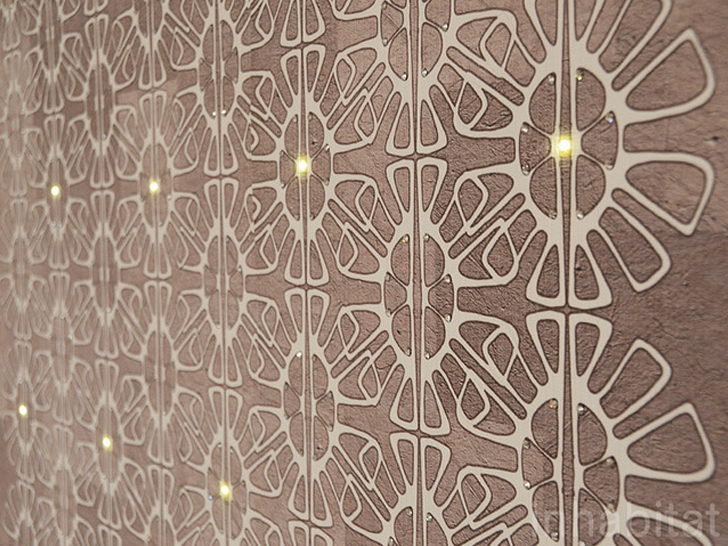 These LED Wallpapers not only add to the aesthetic value of a room, they also provide energy-efficient ambient lighting. Each design is handcrafted in London and custom-made for the desired interior space. Mestyle’s integration of aesthetics, technology and energy efficiency is what made this design stand out at New York Design Week.